I´m really proud and happy that it´s finally there: the updated, English version of „Mobiler Journalismus“. And I´m even more proud to have worked on this with fellow Mojo Wytse Vellinga. We´ve called the book „Mobile Storytelling“ in order to precisely say what the book is about: Everything you need to know in order to tell a story with your smartphone. We hope that we have started something exciting – a book that we will update regularly, that you can use as ebook (available on Amazon or itunes) or even order as a printed version if you like a good read at night. Ein Buch über Mobilen Journalismus zu schreiben ist in etwa so wie einen Pudding an die Wand zu nageln oder einen Wolkenatlas zu entwerfen: Ist es gedruckt, ist es veraltet. Daher hält das Buch ein wenig mehr bereit als nur Technik: Tipps und Tricks von tollen Kollegen beispielsweise, wie Nick Garnett (BBC), Philipp Weber, Philip Bromwell (RTÉ), Marc B. Settle oder Martin Heller (Into VR). Dazu: Viele Ideen zur journalistischen Praxis, von der 5-Shot-Regel zum Digital Storytelling, von Drohnen-Recht zu Recht am eigenen Bild im Livestream. Lust bekommen? Hier gibt es das Buch. Natürlich wird es von Zeit zu Zeit aktualisiert, ebenso das e-book. The colleagues at medienrot interviewed me recently on mobile journalism – in German though. Here are some of my thoughts. Also, the international journalism site IJNet ran a great series on mobile journalism written by Clothilde Goujard which I was proud to be a part of. The whole video? When the UK voted about the Brexit I had the great chance to report for ARD from London, supporting our staff at ARD´s London office. As production ressourced were quite stretched during the campaign I´ve used quite a bit of #Mojo. And quite a bit came out of it. Wanna know what? Read on, my dear. 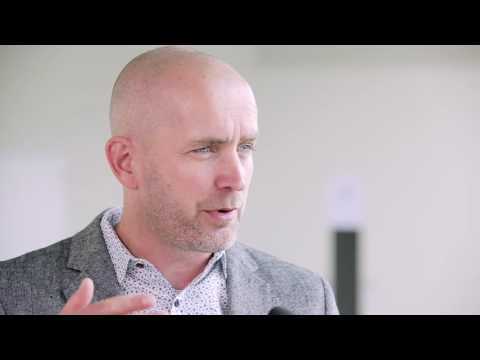 It was a great conference organized by the great Glen Mulcahy, and one thing made me really happy: In 2015, around one and a half mobile journalists visting the Mobile Journalism Conference in Dublin were brave enough to admit that they were trying to use Android phones. This year, the wonderful Bernhard Lill and me had between us in two workshops nearly 50 Android #Mojos. That´s a great change, and even some of the iPhone lovers flirted a little bit with the idea that Android might do the trick as well. 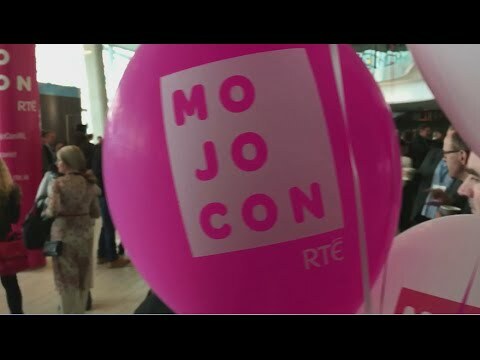 Laurent Clause made a nice little video about his impressions from Mojocon, and he was kind enough to share my soundbite on why Android Mojo matters so much. A child of the economic crisis: Enrique Frisancho and his partner Ana María Vicens had started a design agency together. But their customers were suffering from the economic crisis. Therefore Ana and Enrique decided not to design for others, but to bring their own product to the market: the well-known mobile journalism acsessory „Shoulderpod„. 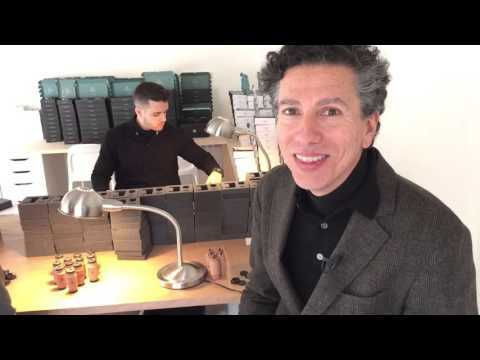 I met Enrique in his office in Barcelona and talked to him about quality, local sourcing and life (shot on iPhone with FilmicPro, edited on iPhone with Pinnacle Studio Pro). I walked through a refugee camp in Hamburg with Ricoh´s Theta S. We used it to enrich a linear TV report on the opening of special women shelters in the camp. I had to hold it a little low as filming was not permitted outside, only at the little opening for women shelters you see at the back. Sound with external microphone (Rode Smartlav+), recorded with Android EasyVoiceRecorder. Workflow: Theta Desktop Programm on Windows 10, edited with Windows Movie Maker, 360 metadata with Metadata tool. 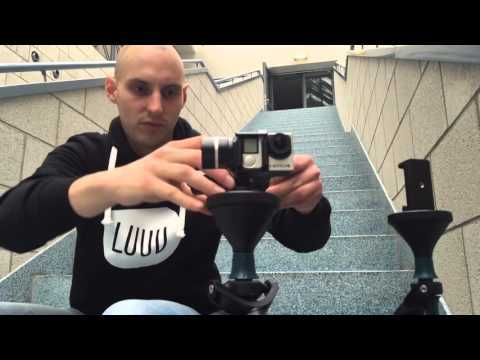 I´ve met the great people behind Berlin based LUUV yesterday, and they gave me a quick demonstration of their #Mojo accessory: Inventend by sports crazy young folks from Berlin, build in order to achieve what a steady cam does, but much smaller. The basic version is a mechanical stabilizer (199 €) that can be combined with an electronic gimbal (bundle for 479 €). Right now, LUUV are hoping to enter the second phase of their company´s growth with a Companisto crowdfunding campaign, after initially starting of their project with a Kickstarter project. I wish them luck. Is that the nature of a #mojo kit? It grows and grows? I´ve made one promise: I´ll never get more gear than I can easily fit into my bag. Might have to get a new bag soon though… If you want to now what´s in my bag, follow the Thinglink link. 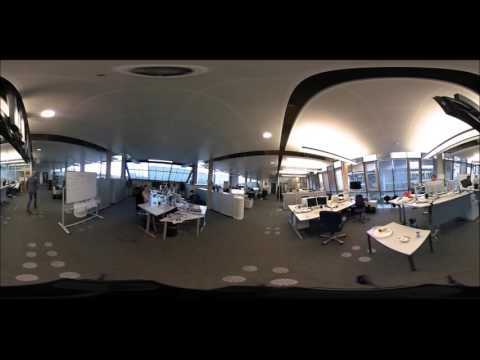 At NDR Hamburg, I have played around with Ricoh´s Theta S a little – a consumer, easy to handle 360 camera for just under 400 €. The results are best viewed on mobile phones as you get the nice feeling of really looking around in the room. Make sure you watch it in best resolution (1080p – sometimes you might have to change youtube settings). The sound was recorded seperately on a mobile phone with Rode SmartLav+ and EasyVoiceRecorder. The whole package was assembled with (yes!) Windows Movie Maker. A quick workflow actually, and one that worked quite well. In my experience, it´s rather about longer shots and scenes to be able to explore a room, and about walking around in the picture. This little experiment consits of only two transitions, three scenes in about 1´30 minutes.